1. Simply serve the roast for dinner with the jus on the side. 2. Shred the meat, add a bit more broth to the jus, add cooked barley, and you’ll have incredible beef (bison) barley soup. 3. 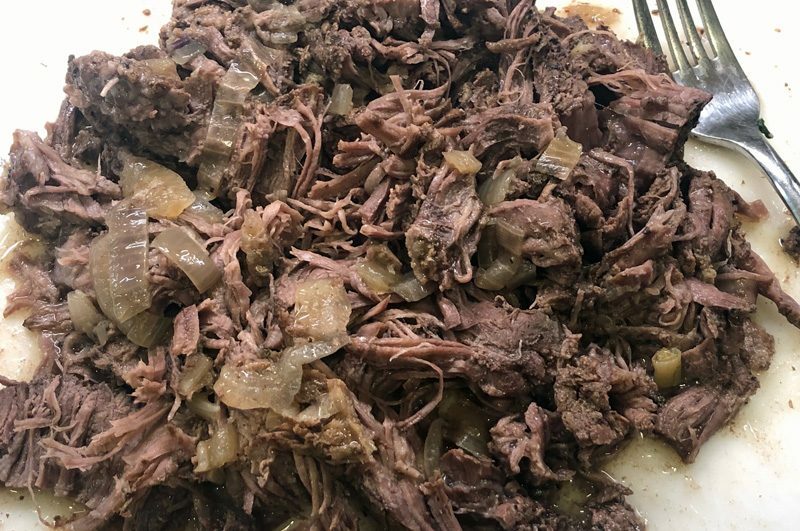 Shred the meat and serve on a toasted hoagie roll with the jus on the side for the perfect French Dip sandwich. 4. Strain the jus and then thicken it with a cornstarch slurry on the stove. Combine the shredded meat with the thickened jus and layer a cooked vegetable (corn or spinach are my favorites) on the bottom of a casserole, then the meat, then mashed potatoes, and then a sprinkling of cheese. Bake until bubbly, about 15 minutes, for a satisfying shepherd’s pie. 5. Shred the meat and use with pink pickled onions and avocado along with some chipotle mayo for tacos. Save the jus to use as the base for French Onion Soup. Season the chuck roast liberally with salt and pepper, then using the sauté setting of the Instant Pot, sear it in a tiny bit of oil on both sides. 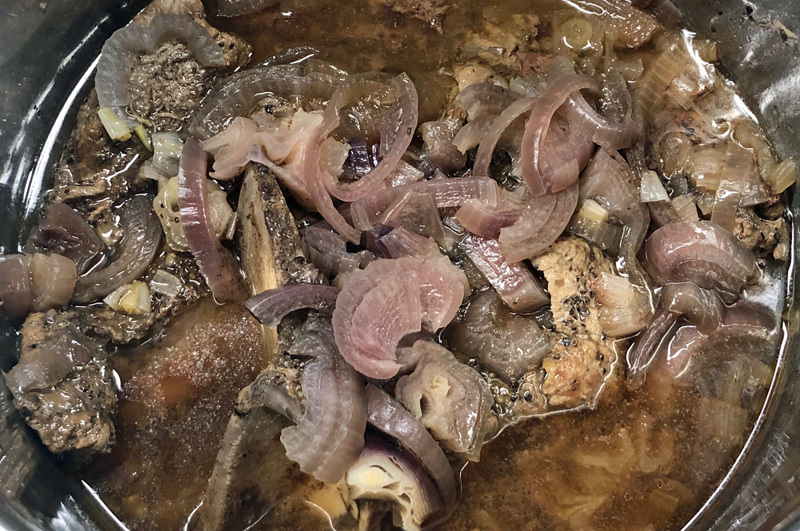 Throw the sliced onion over the top, seal the Instant Pot (move the small knob on the black top to the sealing setting), select the pressure cooker setting, and set the time for 70 minutes. You'll see some steam escaping from the small silver round valve on top of the Instant Pot until the pressure builds and it seals. If you see steam coming out of the sides of the lid, you haven't sealed the top properly so let the steam out according to the directions and start again. 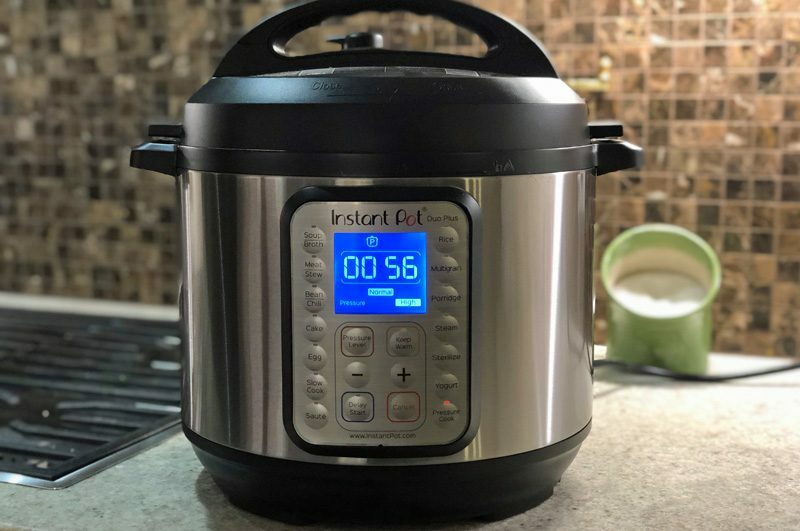 Hi Michele, I got an Instant Pot too! I love it! 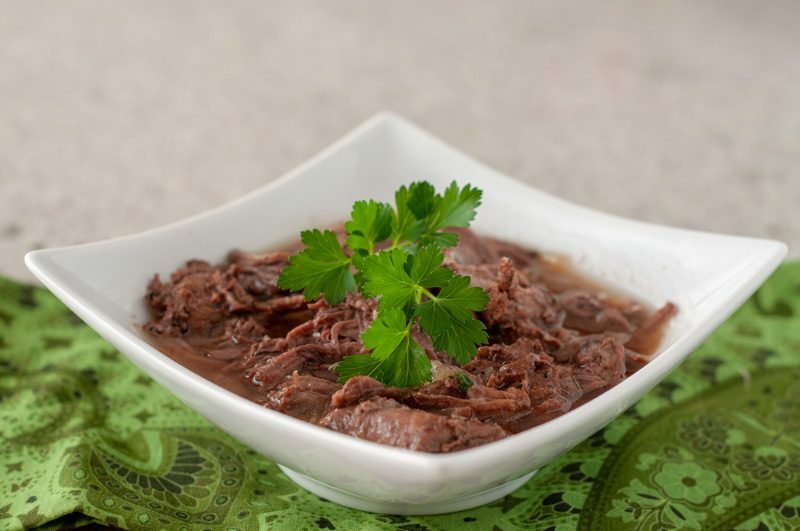 I am not seeing the Instant Pot Roast recipe and nothing appears when I hit “print recipe”. Advise? Also, I have been freezing portions of other Instant Pot dishes. Can I freeze this? You’ll see some steam escaping from the small silver round valve on top of the Instant Pot until the pressure builds and it seals. (If you see steam coming out of the sides of the lid, you haven’t sealed the top properly so let the steam out according to the directions and start again.) Good luck!